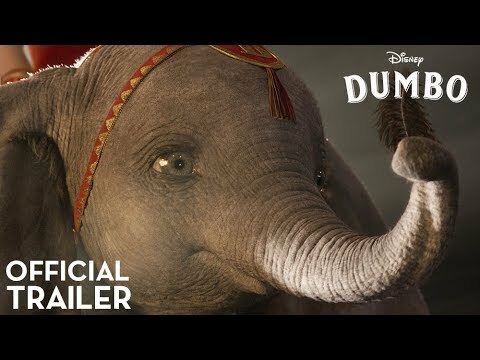 Colin Farell and Eva Green star in director Tim Burton’s first live-action remake of a Disney animated film – the iconic story of Dumbo, the flying baby elephant with giant ears who uses his fame to reunite with his mother. Unlike the 1941 original, which featured talking animals, Burton’s reboot is told from the human perspective. The CGI, visual effects, costume and production design are all truly impressive in capturing the look and feel of post-WWI America in the year 1919. Performances are solid – in particular, Farrell, Green and Danny DeVito as the circus owner who sells to a conglomerate played by Michael Keaton. Burton’s story, however, while entertaining, is a predictable, paint-by-the-numbers affair, lacking the emotional impact of the 1941 original, with distractingly bad accents by several cast members and a somewhat corny finale. Still, the well done technical aspects of the film and nostalgia factor make this family-friendly, crowd pleaser worth seeing. • Dumbo is Nico Parker’s acting debut. Her mother, Thandie Newton, was finishing another Disney production, Solo: A Star Wars Story on a nearby soundstage during filming. 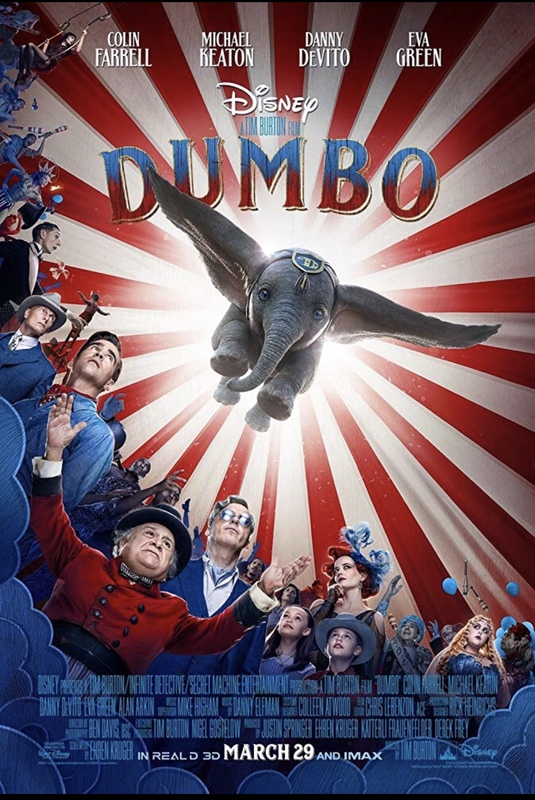 • Dumbo was a reunion for director Tim Burton and several actors: Burton worked with Michael Keaton in 1998’s Beetlejuice, 1989’s Batman and 1992’s Batman Returns; with Danny Devito in 1992’s Batman Returns, 1996’s Mars Attacks and 2003’s Big Fish; and with Eva Green in 2012’s Dark Shadows and 2016’s Miss Peregrine’s Home for Peculiar Children. • The pink elephant bubbles scene in Dumbo is an homage to a similar scene in Disney’s 1941 animated original.